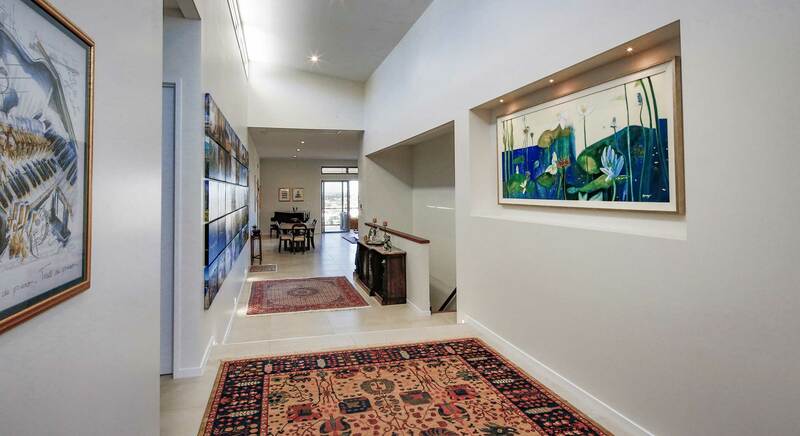 This architecturally designed home was constructed on a sloping site where it was imperative to maximize the sweeping city views and breezes from the various rooms in the home. The design of the home was cleverly constructed with high steel posts and accurately positioned structural bearers to allow future development by the clients to the basement areas. 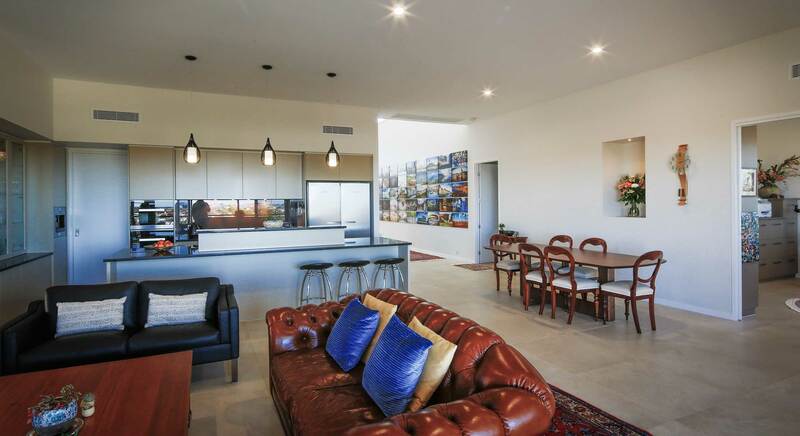 This home is a fine example of an energy efficient house, using solar panels, solar pool heating, connection to future battery storage and even provision to charge an electric car. 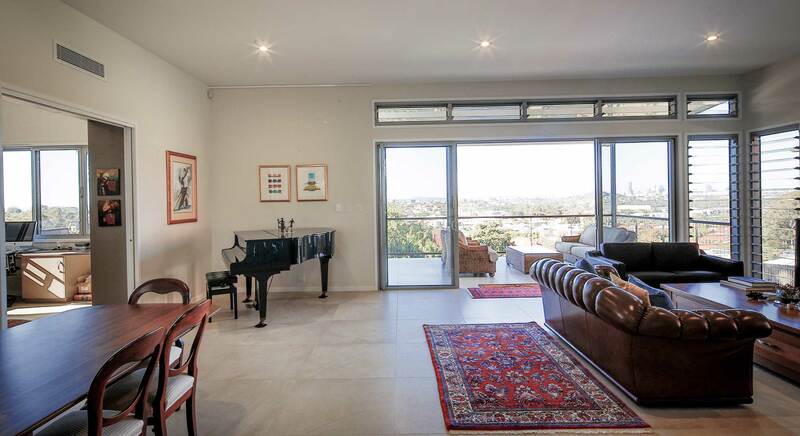 High ceilings give the home a wonderful feeling of space throughout, ducted air conditioning provides comfort and imported Italian tiles on the floors and walls add to its elegance. 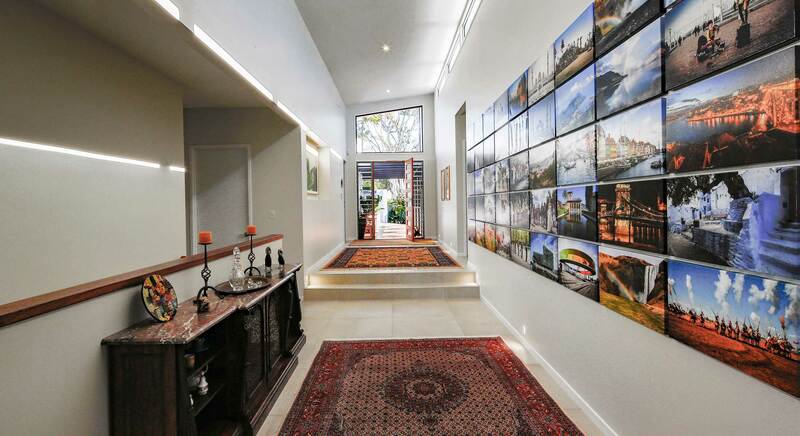 The home has a unique 10m x 3m entry bridge and filtered fish pond to access the foyer, where the large gallery then steps down to the next level. 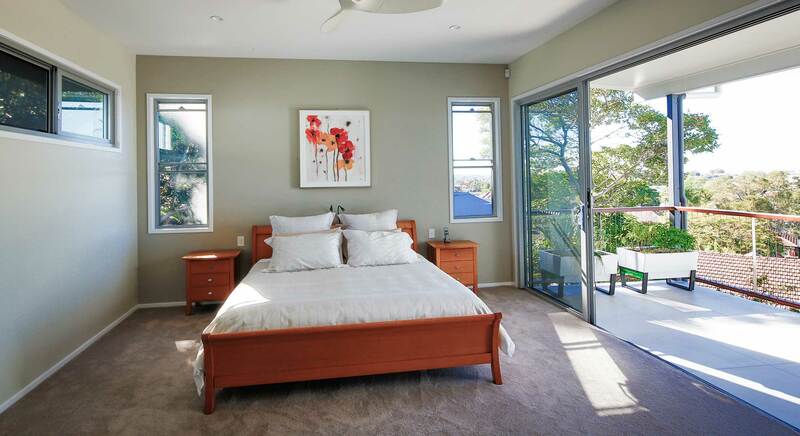 The master suite is a private wing and has a large WIR, ensuite and balcony. 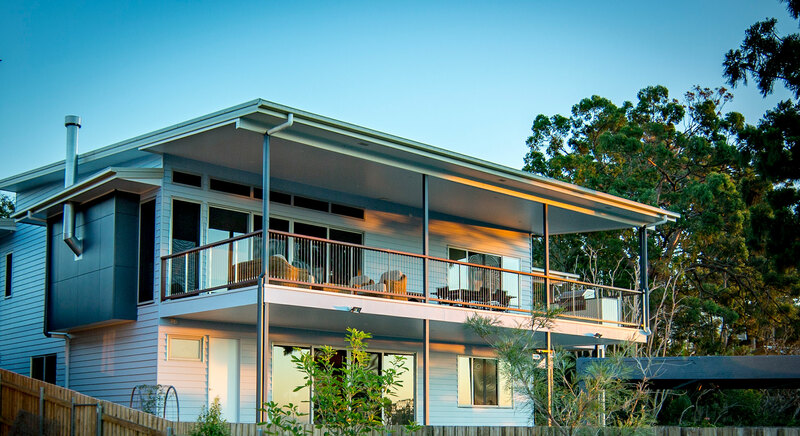 The use of various external cladding products and the interesting use of vertically fitted stainless steel wires used as balustrading adds to the unique design of this modern and luxurious home.